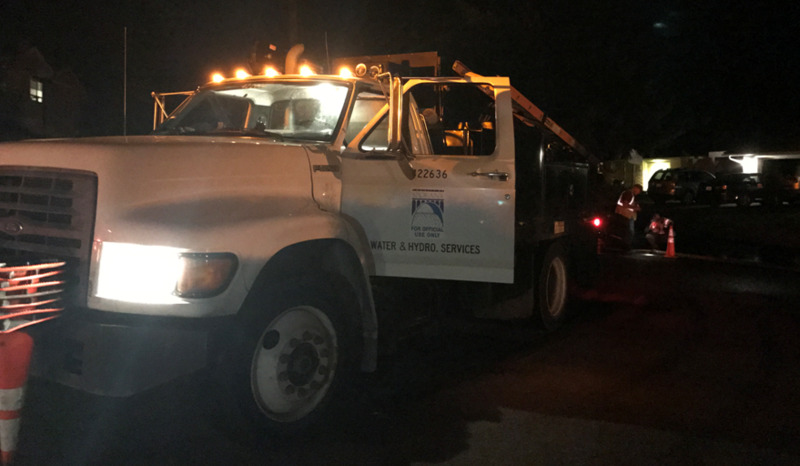 UPDATED: Tue., Sept. 26, 2017, 11:12 p.m.
A water main that had been left uncharged for several weeks left some residents on the South Hill with smelly, dirty water for more than an hour on Tuesday evening. Between 50 and 200 homes south and west of Ferris High School were affected, according to the city’s water department. Water crews began flushing pipes and investigating the problem. At one point the city asked residents to refrain from drinking the water. At about 10:45 p.m., however, the city said it had diagnosed the problem, blaming it on a major water line that had not been charged with fresh water for several weeks. Residents who noticed an odor in the water are asked to run their faucets in the morning until the smell goes away. Marlene Feist, spokeswoman for the city’s Public Works department, said work on the recent 37th Avenue water main replacement resulted in a main pipe being inadvertently left off for several weeks. When crews discovered Tuesday that the pipe was uncharged and then ran water through it, the coating inside the pipe let off an odor. Water officials said the odor does not pose a health concern. Published: Sept. 26, 2017, 9:08 p.m. Updated: Sept. 26, 2017, 11:12 p.m.